Hello fellow gamers, it's been a while since I have wrote something here. So, for my comeback article. I would like to share to you especially those who are new to the game on how to use or summon a Mercenary during dungeon runs. 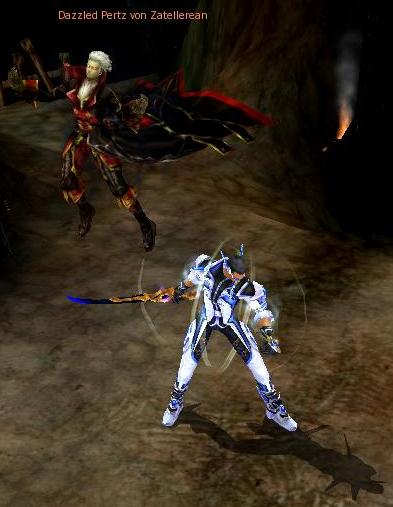 Mercenary is an in-game feature of CABAL online where you can summon a companion to help you through a dungeon on a given time. There are different types of mercenaries to summon but I will discuss more on that in the future. Right now, I would just want to let our new players know how does this system works. First up, there's a certain quest regarding this one where you will receive (6) six mercenaries for free but I still need to check on the name of the quest. But let me walk you through below. 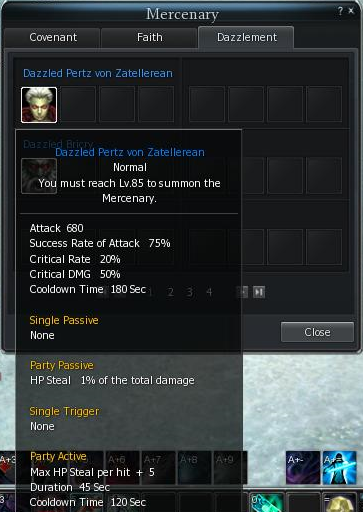 On the image below, you will see in my inventory that I have a "Pertz von Zatellerean (Normal) Mercenary", You can purchase this on players or on the Auction House. 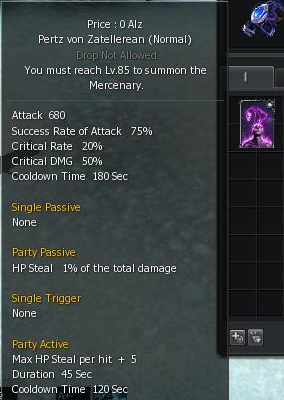 Right click the item to register it in your Mercenary list. 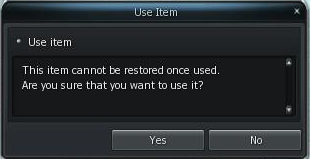 Upon right clicking the item a window will appear stating that the item will not be restored once used. Click "Yes" to continue. Now, press the letter "Y" to open your Mercenary window and you will see that my "Pertz von Zatellerean Mercenary" was registered on the "Dazzlement" tab. Each mercenary has a level too. What I have is a Normal one but there's also Rare, Epic and Unique. b.) Place the Mercenary Icon that you like to summon on the quickslot bar. c.) Summon your mercenary by pressing the corresponding number where you put the icon. d.) Your mercenary has a duration and you cannot remove it once summon except if you exit the dungeon. And that's how you summon your Mercenary, they can help you during dungeon runs if by any chance you didn't found any party members. 'Till next time eveyone!